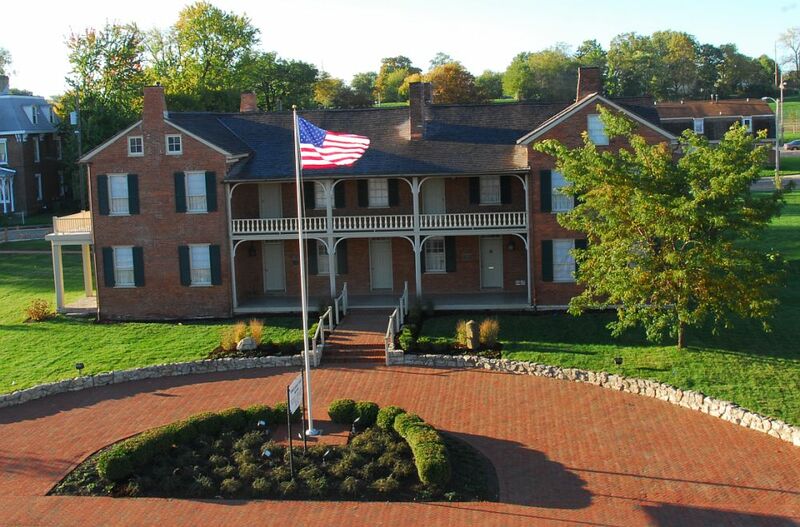 Built in 1839, the Pennsylvania House was a popular and respected Inn along the National Road. " The 7000 square foot Federal-style structure was built using tenon and mortise construction. " It originally had 26 rooms and a kitchen separate from the house. Several large barns were built adjacent to the house that sheltered the wagons and livestock of the overnight guests. " Today, the barns and kitchen are gone but the remaining fine, brick structure entertains visitors with its three floors of 19th century furniture, paintings, clocks, portraits, china, glass, dolls, and textiles. " The Pennsylvania House has been included on the National Register of Historic Places since 1973. After its second major restoration concluded in October 2006, an authentic National Road marker was dedicated during the grand reopening ceremonies and is proudly displayed by the front entrance. Both beds use "rope" to support the feather mattress. Box springs weren't invented until 1929. 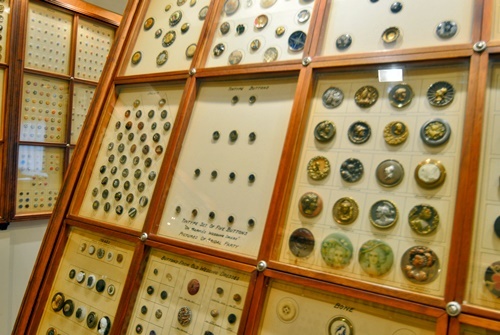 The first floor houses one of America's finest button collections. A gift of Lagonda Chapter member Grace Porter upon her death in 1948, the collection of 100,000 buttons offers a historic showcase of one of fashion's favorite forms of adornment and status. The international collection contains buttons from the 18th through the 20th centuries fabricated in a wide variety of materials including porcelain, glass, metal, shell, bone, precious and semi-precious stones and man-made materials. 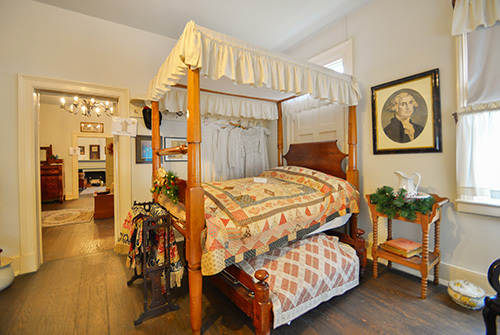 The recent restoration saw the re-interpretation of several rooms to reflect the house's use and function as an inn and tavern from 1839 to 1869. This can be seen in the recreation of the tap room, general store, ladies parlor or formal dining room, and the drovers' room. The first floor assembly room offers a pictorial timeline showing the house's place within local and national history. It is accompanied by a display of artifacts from the entire lifespan of the house discovered during the basement's excavation. The second floor children's room spotlights a fully furnished, twelve-room Federal dollhouse donated by Lagonda Chapter member Ruth Bayley. It contains period furniture in black walnut and cherry handcrafted by John Kunkel. In the 1870s, Drs. Samuel and Ada Adams rented space in the house for their joint medical practice. A second floor room in the 1850s wing has been furnished with medical equipment of the period including Dr. Samuel Adams' electroschock therapy kit. David Snively built the Federal-style structure as a tavern and immediately expanded it to house travelers, with a final wing added in the 1850s by long-time innkeeper Peter Schaffner. The inn was the boyhood home of Dr. Isaac Funk, of Funk & Wagnalls dictionary and encyclopedia fame, whose parents operated the inn during the 1840s.